In which the control strategy for Tommelise 3.0 begins to emerge ... with implications for mainstream Arduino controllers... Do you want to read more? An I2C interface gives us a great demarcation point. Wildly different control systems can go on either end of it allowing more collaboration between various forks of the RepRap Project, and allowing locally available processors etc. to be used to control the individual systems on the RepRap. I don't see why having to support unipolar steppers is any big deal. I wrote up the driver firmware code to do it in my test board in about 20 minutes. 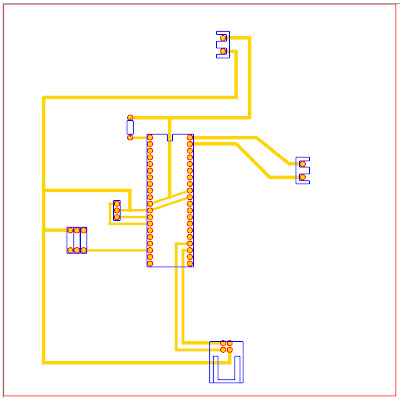 As well, if Simon is able to get the little 16F628A pic chip to behave like a I2C slave it would be a simple matter to put the unipolar drive logic right in there so that the commands to the unipolar circuit could be very high level.